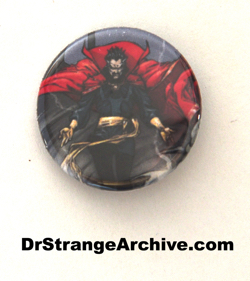 Description: This is a small button pin featuring the cover art of the Dr. Strange Marvel Vault one-shot. The number 84376 is printed on the edge.